1) Indirect Hypnotic Induction Techniques - covert ways to induce trance. 2) Covert Influencing Techniques & Vital Communication Skills. 3) Trance Induction, how we and the client move into and out of trance. lowers stress hormones within the client and places the client in control, in real life time. 6) Eye accessing cues and how an understanding of eye patterns might help you to better understand the client and your friends. identify and modify these profiles. 8) Hypnotic language, word weaving & indirect suggestion. 9) Utilising every day trance into a learning experience. 10) Influencing future behaviour via covert suggestions. 11) How to apply these techniques in the practice and general conversation. To utilise the Hypnotherapy Behaviour Model, we need to understand the personality profile of the person that we are working with. The Hypnotherapy Behavioural Model can be personalised to yourself or the individual that you are working with to gain optimum affect. The Hypnotherapy Behavioural Model can be used to combat anxiety, as a frame work to work with ME, Fibromyalgia, eating disorders, emotionally eating, addictions, depression, social anxiety, anger management and public speaking. The first two appointments are to help you, or the person that you are working with, to take control of their body. The second two appointments will develop the skills in yourself, or your client, to take control of the mind, rather than the mind controlling the individual. After this, you, or the person that you are working with, will have the ability to relax, manage the self, whether at work or at home. When in company, no one will be aware of what you or your client are doing, and yet you, or your client, will be able to talk and interact whilst remaining calm, relaxed and in control. The Hypnotherapy Behavioural Model weekend would be ideal for anyone with an interest in therapy, hypnosis, or hypnotherapy, whether that interest is motivated by thoughts of developing your own hypnotherapy practice, or a genuine interest in people and how our minds work. 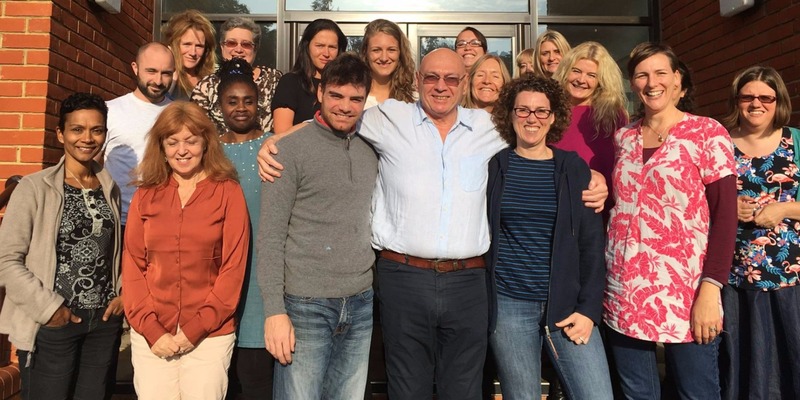 The Hypnotherapy Behavioural Model weekend is designed to develop within the student, an understanding of hypnotherapy and how hypnotherapy might be used within the modern clinical hypnotherapy practice. Hypnotherapy only really comes to life when practically applied to the client, and so there is a strong experiential approach to the academic understanding of this incredibly stimulating subject. During this weekend, the student will gain the skills to use hypnosis with themselves and others and learn how to weave words within hypnosis to facilitate change. There is a mix of theory and practice throughout the two days of hypnotherapy. On completion of the Hypnotherapy Behavioural Model Weekend, we would expect the student hypnotherapist to be able to use hypnotherapy inductions and approaches to deepen the effect of trance. This might be useful for relaxation, stress management, weight loss, stop smoking, anxiety, irritable bowel syndrome, depression and to facilitating change within another or oneself. The hypnotherapy training venue is local with excellent transport links and ample parking. We start at 10am and finish at 5pm on both days. Tea, coffee are provided. Supported by a comprehensive manual, there is no need to purchase extra hypnotherapy reading material prior to the weekend, although suggestions for further hypnotherapy reading, will be included within the support pack. The Hypnotherapy Behavioural Model training, indeed the complete course is accredited by the NCH, HA & NSP governing bodies, students will receive a hypnotherapy certificate of attendance. To book your place on the Hypnotherapy Behavioural Model Weekend, please click here: Booking Form. If, after attending the Hypnotherapy Behavioural Model Weekend, you decide that you want to continue, please mention this to your trainer. You will be able to attend the rest of the hypnotherapy diploma course subject to available places. As a practicing therapist, you have often worked with clients who are suffering with general anxiety with no apparent trigger. This would be an ideal weekend for you to attend, offering you the tools to help your client. The behavioural model consists of four client appointments, each appointment can be adjusted to suit the requirements of the individual personality profile. Personality profiling will be discussed over this weekend in some depth, how to understand the profiling that helps your client suffer with anxiety and what you and your client can do to change, to become calm and relaxed. Yes, your client can learn to become generally calm and relaxed within four weeks. This hypnotherapy weekend is fully supported by a forty page manual. You will receive both an electronic and hard copy, with a full client support pack for each appointment of the hypnotherapy behavioural model. This hypnotherapy training workshop is accredited by the NCH, HA & NSP governing bodies, students will receive an SCCP hypnotherapy certificate of attendance. This hypnotherapy weekend can be part of your continuing professional development, CPD, subject to your governing body requirements. The hypnotherapy training venue is in West Byfleet with excellent transport links, five minutes walk from West Byfleet mainline station, and ample parking. We start at 10am and finish at 5pm on both days. Tea and coffee are provided. If there is anything that you would like to discuss please contact the Surrey College of Clinical Hypnotherapy & Psychotherapy and ask for James.